Scopri le delizie e la storia di Zaanse Schans e della campagna olandese in un viaggio di 3 ore in piccoli gruppi da Amsterdam. Con una guida informativa, ammira il lussureggiante paesaggio olandese attraversato dal canale. 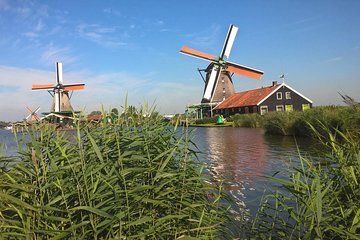 Fai un tour della bella Zaanse Schans, famosa per i mulini a vento in legno e le case dipinte di verde, e visita un caseificio e un laboratorio di fabbricazione di zoccoli per conoscere questi mestieri tradizionali. Infine, visita un mulino a vento funzionante per scoprire come queste fabbriche in riva al mare hanno contribuito alla guida dell'età dell'oro olandese del XVII secolo. I numeri sono limitati in questo tour per un'esperienza in piccoli gruppi. This was a great tour as you are given so much history of the Dutch people and how life as lived before modern technology . Thank you Ray from Zaan Tours. We went on the 10am Sunday tour to Zaanse Schans and our guide was wonderful. We had a great time walking through the town, learning about the history, and taking lots of pictures. We saw a clog-making demonstration, learned about cheese making, got to climb up a working wind-mill, learn about cocoa processing, visit one of the first general stores, and see a pewter casting demo. A lot to see and do at a relaxed pace. We got back to Amsterdam in good time to see more sights in the second half of the day! Would recommend. Highly recommend that anyone wanting to gain insight to early Dutch village take this tour. Zaan Tours provides a well-paced tour explaining history of village and the foundation that maintains this area should be applauded for their efforts. Visit to De Kat Windwill brought back many memories of when I visited some 18 years ago. Fascinating to see inner working of windmill. This was a great short trip into the history of the Netherlands. Tour leader was pleasant and willing to provide additional information as asked. Overall well worth it. It was so nice to a city dedicated to Dutch culture and tradition. It is a short drive (20 minutes) from Amsterdam but you feel like you’ve entered a completely different part of The Netherlands. Our guide was a local from the area and was able to answer all our questions. Being that it was December, it was quite cold but still enjoyable. 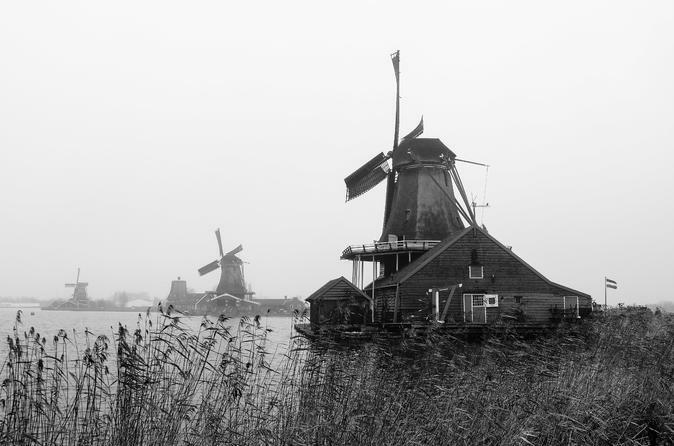 If you have time, make the trip to see Zaanse Schans! We had very little time outside of our schedule and so glad we took the advice of our friends and booked this tour, in spite of the tight schedule. It was a most enjoyable half day tour. Our guide Paul was exceptional. He is a young college student, polite, courteous, friendly and just a wonderful person to spend time with. He grew up in that town and knows the area intimately. Just the right amount of time and information at each of the highlights. We learnt so much about the history of the area, how the 'mills affected the birth of the Dutch economy and eventual rise including the not so palatable dark side of history, cheese making demo, clog making demo.. inside tour of a working windmill and much more. Extremely well planned and executed plan. Highly recommended. We had a little difficulty knowing for sure where we were to originate the tour. It is on the street sidewalk right in front of the Barbizon Palace Hotel.Paul was our guide and did an excellent job of guiding us through the village so we had a chance to see the shoe factory, cheese-making, chocolate factory and the windmills. The photo ops were great! Paul was very knowledgeable of each phase of the tour and kept up with all of the tour participants. This was an incredible tour for 3 hours of your time and each phase was short and efficient but interesting, too.Well done. I’d highly recommend this tour if you’re wanting to conserve time but wanting to get a taste of what Dutch life might have been like years ago. Thoroughly enjoyed this morning tour. Paul, our guide, was very informative about the history of the place.